Simple and sleek, the Sandor Coffee Table is a great choice for any contemporary space. 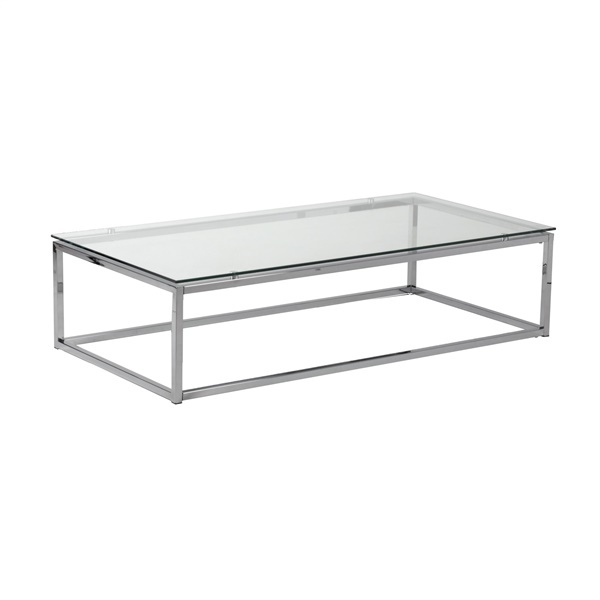 This modern table features a clear tempered glass top with a chromed steel base. It�s perfect for decorative items, magazines, or even a small meal. will this table support a 32" tv? This table would support a 32 inch TV but the manufacturer recommends that this table really only be used as a coffee table.